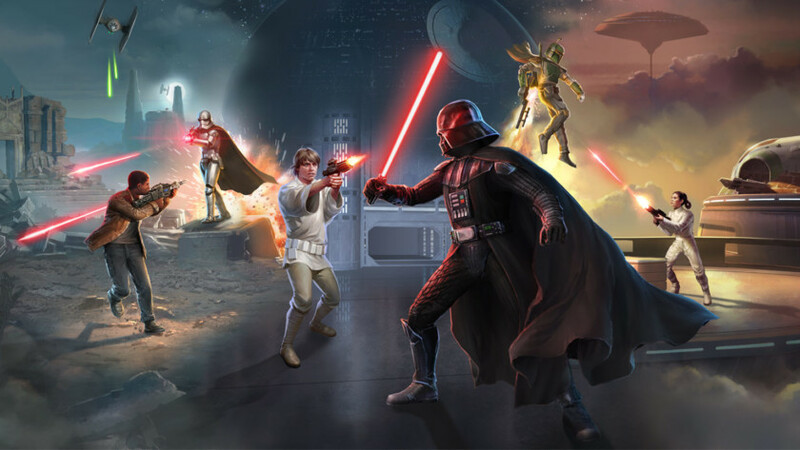 Star Wars: Rivals is a third person, cross-platform, PvP shooter. Players will battle it out in familiar surroundings like the Death Star and Jakku. Many fan-favorite characters from the original trilogy and recent movies are in the game. As a big Star Wars fan, Disney buying Lucasfilm has been great. Three new movies (with another around the corner), countless toys, and new games have taken up a significant amount of my time. 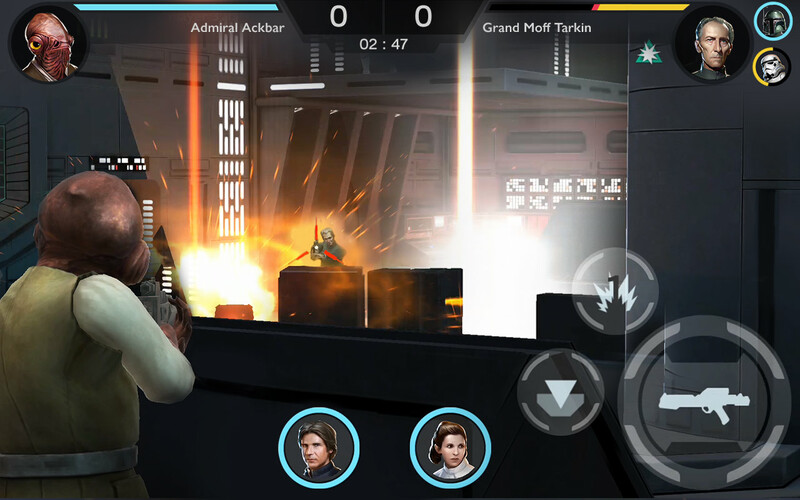 I’ve never been a huge mobile gamer, but the recent Star Wars mobile games have looked somewhat interesting, and now there’s a new one. Lucasfilm and Disney just announced a brand-new game called Star Wars: Rivals that has me genuinely hyped. 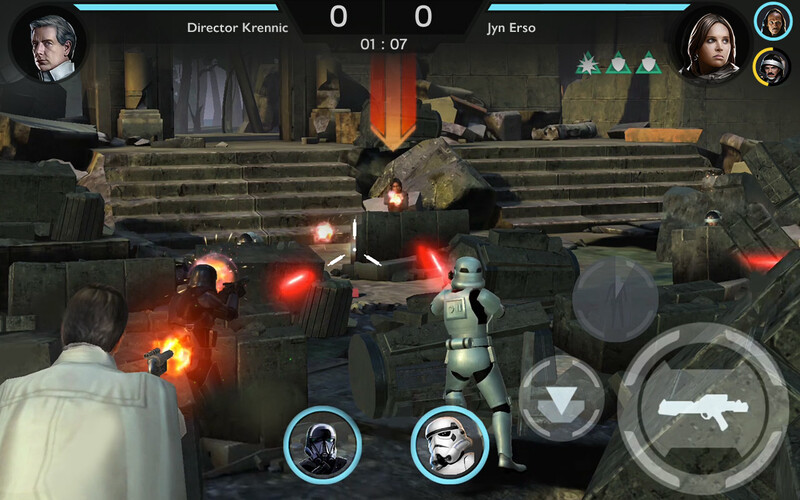 Star Wars: Rivals is a cover-based third-person shooter. The game features a ton of well-known characters from the franchise’s past movies. We’ve seen mentions of new characters like Finn and Phasma, as well as classics like Han, Luke, Leia, Vader, and Chewie from the original. You can even play as Jyn Erso or Director Krennic from Rogue One: A Star Wars Story. Sadly no Jar Jar yet. Star Wars: Rivals take place in familiar places like the Death Star, Jakku, Bespin, Scarif, or Hoth. The characters all have special abilities, like Vader’s choke, Admiral Ackbar’s orbital strike, or Chewie’s bowcaster. You’ll also form factions like the Rebellion, Empire, First Order, or Underworld to gain bonuses like increase damage or faster health regeneration. There’s no official release date yet, but you can register for the game on Google Play by hitting the button below. Early registration gets Android users access to Death Troopers, the elite fighters in black armor from Rogue One. 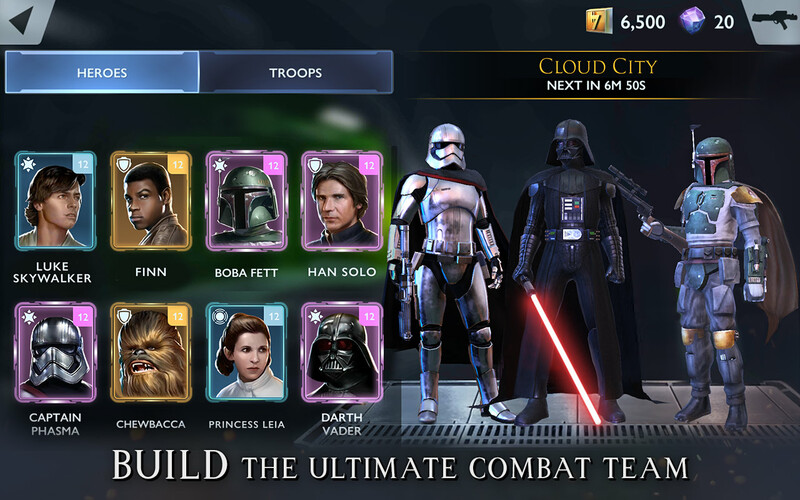 Users on iOS get access to Rebel Special Forces, the most elite soldiers in the Rebellion if they register now. Since the game supports cross-platform play, we have a feeling that this could lead to some fun battles. 10 best Disney apps for Android!